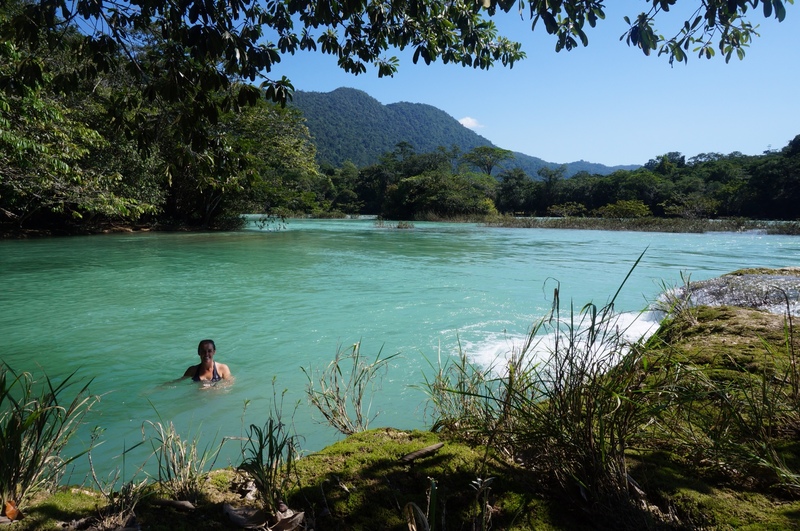 Alex decided that she wanted to celebrate her 25th birthday with a hot shower and a good meal, so after Salina Cruz we hopped on a bus headed for Tuxtla Gutiérrez, the capitol of Chiapas state. This would also help us avoid the dangerous winds that pummel the Isthmus of Tehuantepec (Mexico’s narrowest point) all through November and December. Our decision was affirmed by the fact that the route between the two cities was lined with hundreds of wind turbines – the first we’ve seen in Mexico. We were glad for the chance to avoid getting blown off the road and make some fast kilometers. Unfortunately, when we got to Tuxtla Gutiérrez we quickly found out that we should skip town ASAP. Loud, dirty and thoroughly blah, there was really nothing that could make the city worthwile for us. So after just one night in town we packed up and got out of there in favor of the highly anticipated city of San Cristobal de las Casas. That day was pure grind, a steady climb of about 40 kilometers and over 6,000 feet. The most interesting bit came at the beginning, when we passed the toll booths that mark the start of the cuota. Rather than the policemen we usually see stationed there, the place was crowded with civilians wearing sunglasses and bandanas to hide their faces. They brandished sticks as makeshift blockades, carried paper signs with prices written on them, and held out tin cans to passing cars. Drivers deposited money into the tin cans and bypassed the bored-looking toll booth attendants completely. Why the holdup? 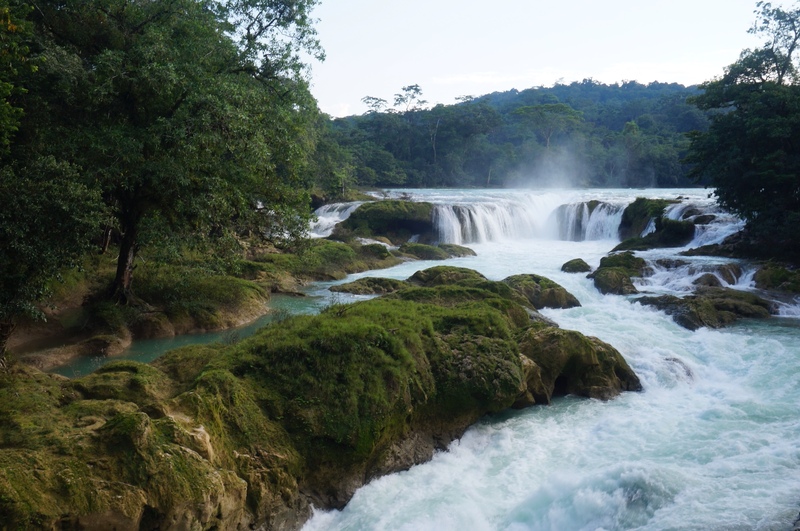 Chiapas, famously the setting for the Zapatista movement of the 1990s, has a proud history of popular uprising and political protest. In 1994 a coalition of Mayan indigenous groups – organized as Zapatistas and led by Subcomandante Marcos, who took the bandana look one badass step further with a big Sherlock Holmes-style pipe – staged an uprising in San Cristobal in opposition to the recently signed North American Free Trade Agreement. Eventually the Mexican government regained control of the city, but granted the locals autonomous rule of five surrounding zones (“conchas”). Today, Chiapas retains its reputation as a hotbed for indigenous activism and political engagement, but in public view the spark and sizzle of the 1990s has been replaced by EZLN graffiti and gift shops hawking Zapatista paraphenalia. And the occasional toll booth takeover, of course. 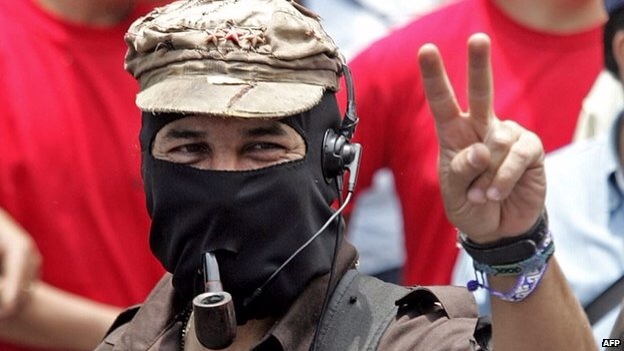 Subcomandante Marcos, courtesy of the BBC. San Cristobal was finally a place that lived up to its reputation. Beautifully located in the mountainous highlands of Chiapas, it is a tourist hotspot without being as in-your-face about it as Oaxaca was. 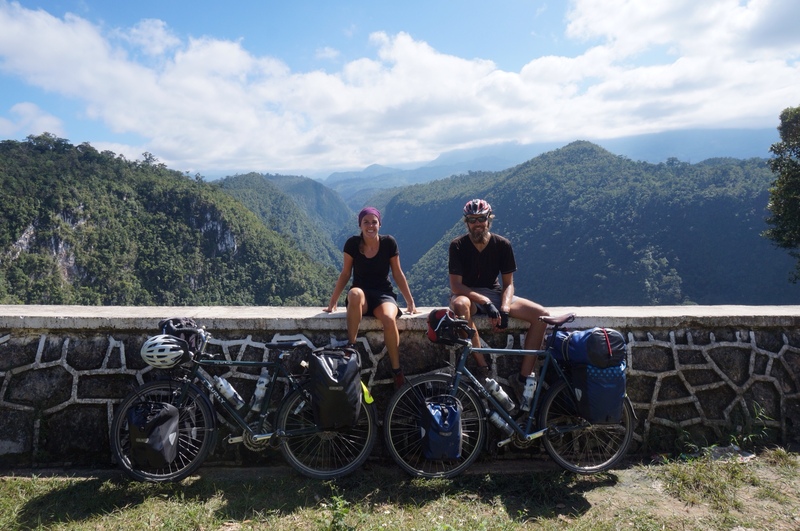 Thanks to WarmShowers we found a hostel – aptly named BiciNomada – that specifically catered to cyclists and offered us a very moderate nightly rate. After settling in we reverted to our old ways and spent a lot of time enjoying the local culinary pleasures. Much to our satisfaction, San Cristobal has specialty restaurants of all kinds. We found ourselves chatting with the owner of a Lebanese restaurant one night, and gorging on delicious Italian pasta another. The surprising accompaniment to all this food were the hundreds of small children that know a good tourist trap when they see one. They frequented the restaurants, going table to table selling candy and small trinkets. Alex is a complete pushover – especially after a glass or two of wine – and as a result we are now the proud owners of a small ceramic giraffe, a few Snickers bars, and a 100 peso stake in an orphanage that may or may not actually exist. A couple of words about BiciNomada. Surprisingly enough, we were the only cyclists there during our stay. The other guests were a dreadlocked mixture of backpackers from around the world – Mexicans, Frenchmen, Argentinians, and Canadians. Most of them were were roughly our age and in various stages of trying on the hippie lifestyle. Our favorite example was a friendly French Canadian couple who walked around barefoot and urged us to collect stones in San Cristobal to sell later on our trip. They assured us that stones were cheap here, and went for a high profit in the Yucatan – that’s how they were financing their travels. (Note from Alex: At this recommendation, Tom’s eyebrows nearly hit his hairline. 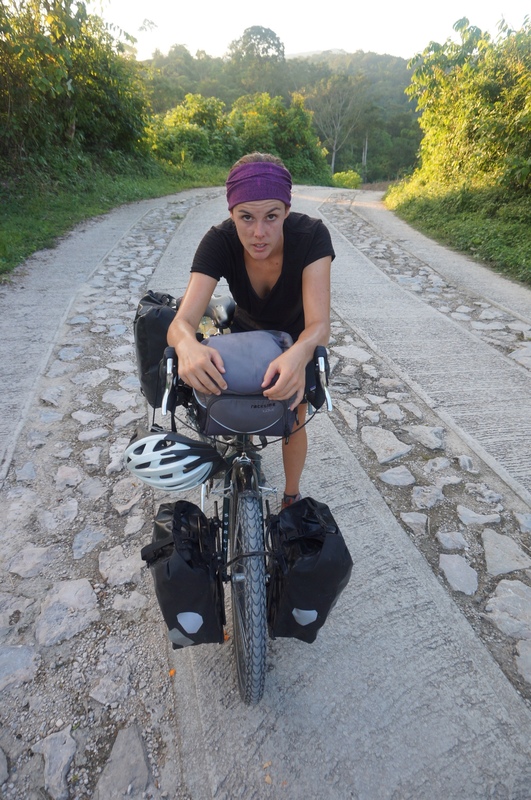 Sure, we’re going to bike around with literal rocks in our panniers, then grow some quick dreads and set up a rug in Cancun to sell said rocks. Epic idea.) And that was before they started talking about Burning Man, which apparently turned them on because they paused midway through to agressively make out in in their flowy pants. They were the perfect caricature of hippies: while not doling out priceless economic advice, they were buried in their smartphones, chain smoking, and fretting about losing their national insurance. But anyways, regardless of the occasional spurt of absurdity, everyone was perfectly nice and BicNomada proved a good place to pass a few days in San Cristobal. One day we decided to go all touristy by heading out for a tour of Cañon del Sumidero, a spectacular canyon west of the city. 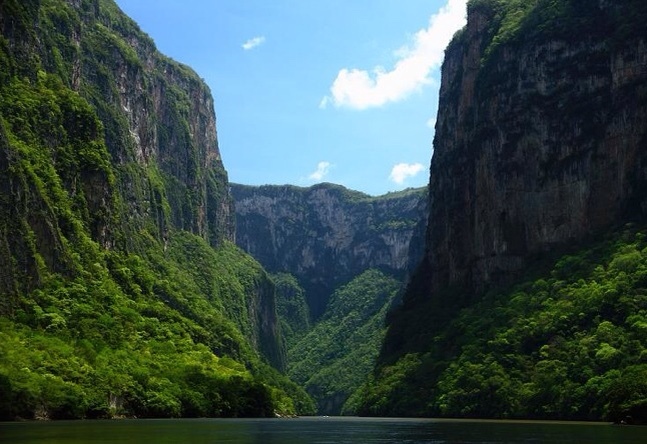 The canyon is the emblem of Chiapas state, and majestic it certainly is. Unfortunately, the only way to see it is by strapping on a big orange life jacket, hopping on a speedboat, and sharing your experience with twenty other camera-wielding canyon enthusiasts – including some particularly oblivious GoPro stick handlers. Let me be clear: GoPro sticks used outside of skiing, surfing, scuba diving or any other type of solo-ish activity are an abomination, pure and simple. Talk about ruining a picture when the guy in front of you waves that piece of junk everywhere. The view without the life vests. To our dismay, but maybe not surprisingly, the whole tour seemed more oriented around photo ops than education. 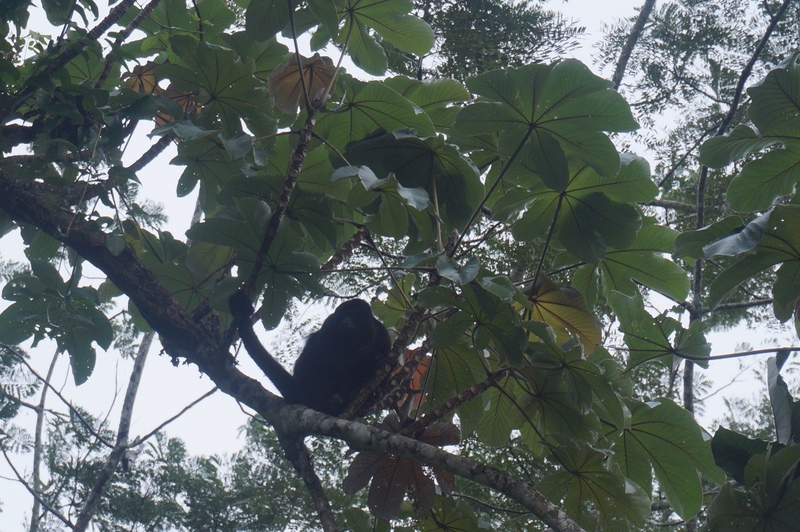 We zoomed along from picturesque point to point, waited for the tour guide to say, “Here is a spider monkey, take a picture,” and all took out our cameras and snapped our photos before moving onto the next stop. On top of that, the river itself was polluted to the extent that the captain could navigate a clearly defined waterway between enormous floating trash heaps. Even though we got to see some crocodiles and were impressed with the undeniable grandeur of the canyon, we had a pretty mixed reaction to this little excursion. 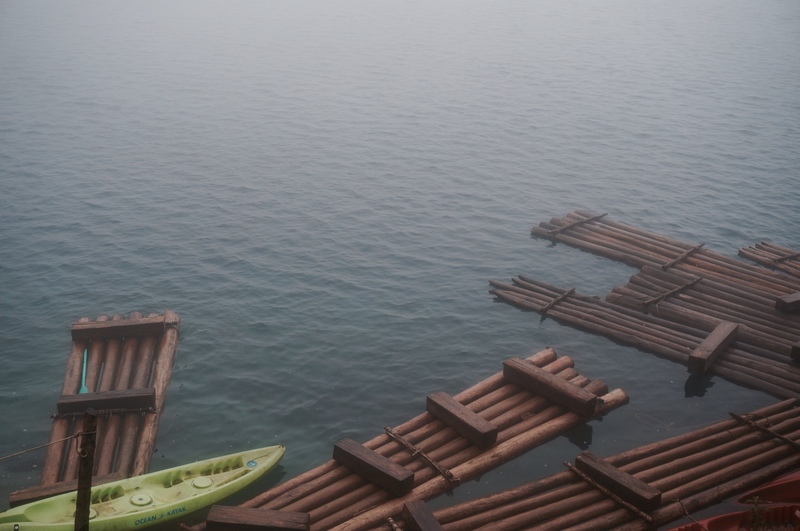 In the end, we were left longing for a kayak and some solitude. And here comes the sad part: shortly after we left, all of those hard earned photos of Sumidero Canyon and San Cristobal mysteriously deleted themselves from Alex’s memory card. We’re pretty bummed about that, especially because we had some priceless snaps of GoPro stick man. 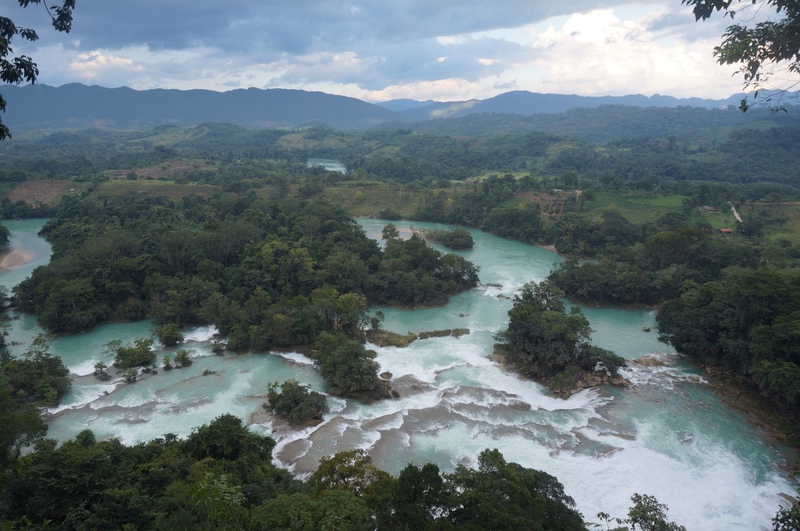 We bid a photo-less farewell to San Cristobal and pushed on down the road with the intention to maximize our exposure to the natural beauty of Chiapas (sans life vests and package tours). This meant taking a little detour from our original plan. 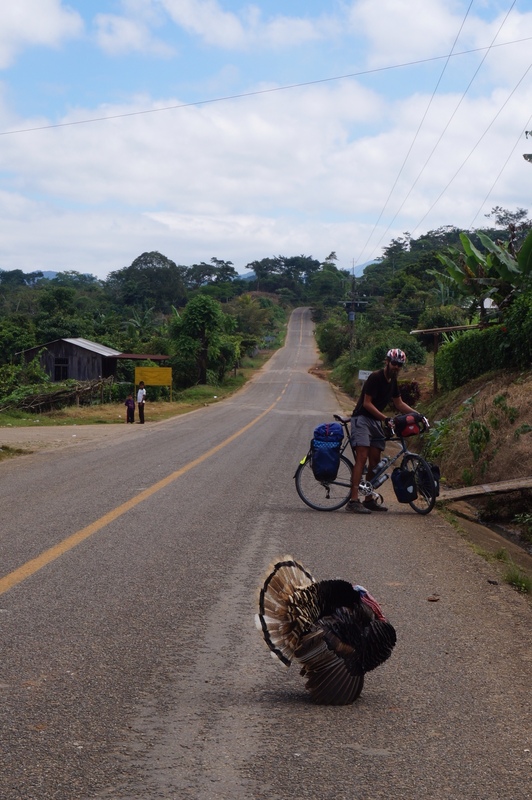 Since we had some time to kill, we decided to take a long loop south through Chiapas on the Fronteriza, the rural highway that runs alongside the Mexico-Guatemala border. 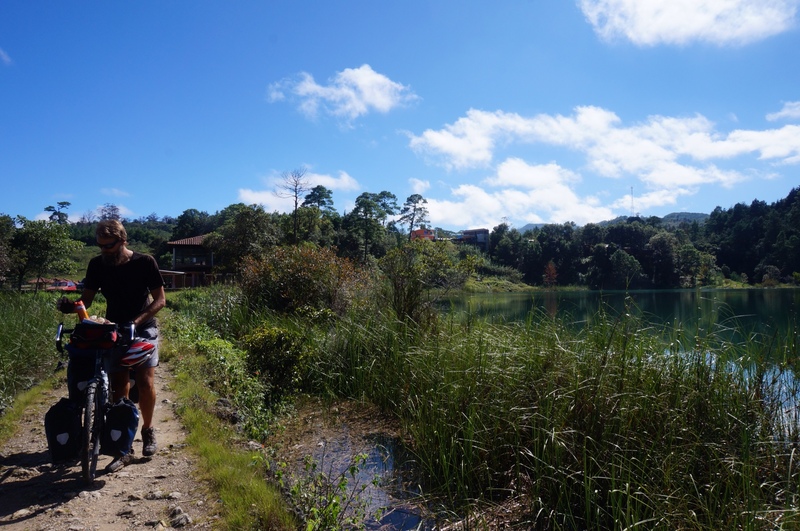 Apart from the supposedly stunning environment along the route, this would also take us to Lagos de Montebello, a national park consisting of multiple and multi-hued lakes, and Las Nubes, a tiny settlement perched atop at a beautiful waterfall. 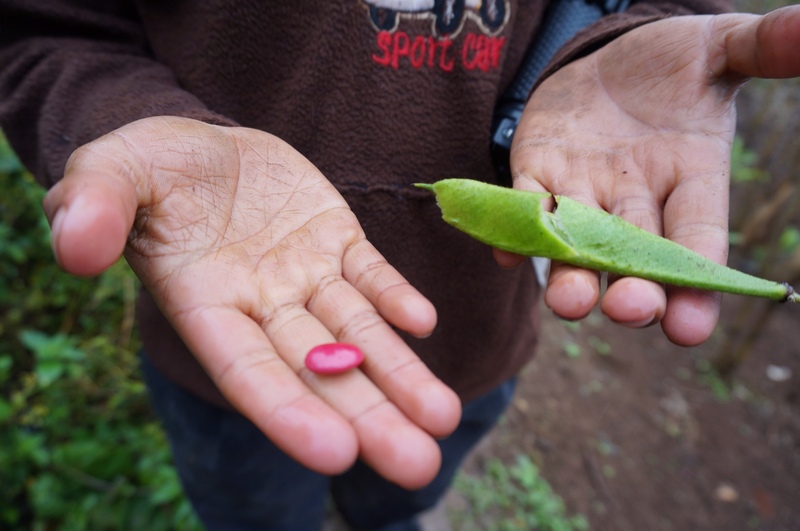 Las Nubes had been enthusiastically recommend to us by a nineteen year old kid we met in Puebla who, according to him, used to run drugs in that part of the country (while apparently also enjoying nature to the fullest). 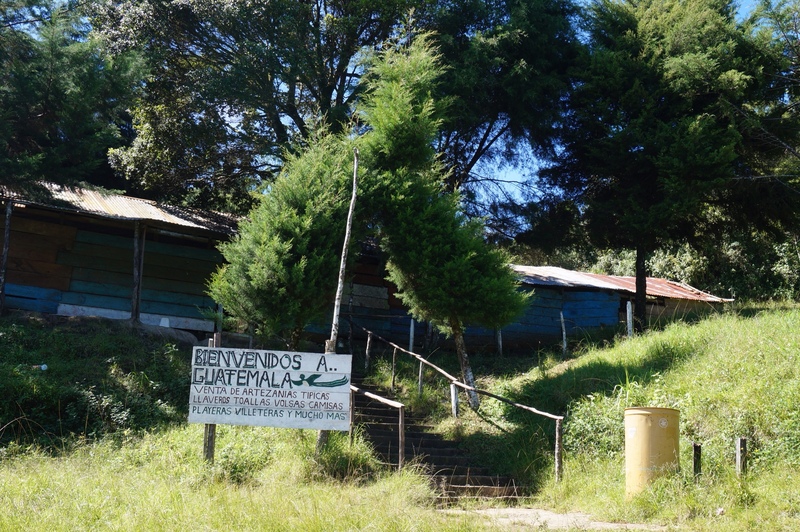 Entering this area meant a refreshing change in scenery, from the drab grasslands south of San Cristobal to the rolling hills and lush green pine forests of the border zone. 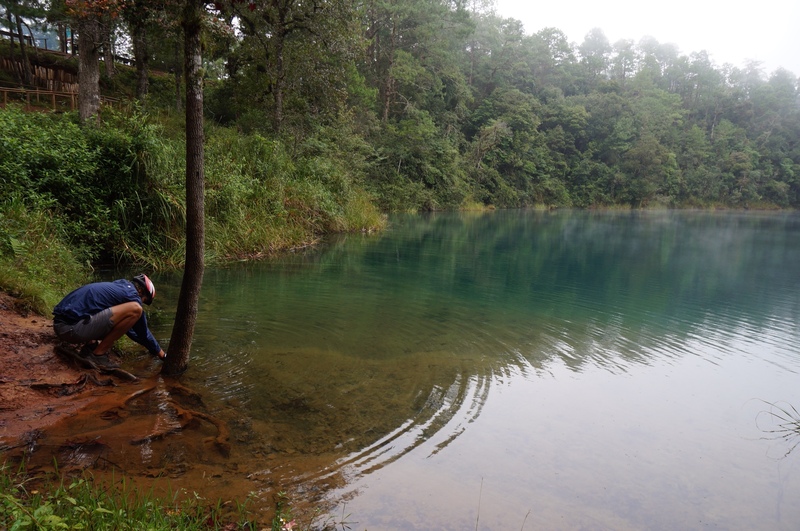 After a long day’s riding we finally arrived at the first lake on our list, Lago Bosque Azul. When we pulled up a bunch of little kids came running towards us, trying to sell us various wares and tours. That’s where we learned that when a little five year old girl comes up and sweetly asks your name, don’t say your name! If you do, you then have to endure a seemingly endless poem that she has memorized about your name, and that poem and her cuteness come at a price. We learned the hard way – not once, but twice. After she got me, she turned to Alex (who had been talking to the other kids) and asked her for her name, and as I was frantically miming “DON’T DO IT!” Alex went right ahead and fell into the trap. For the record, little girls from Chiapas do not buy the “no tengo pesos!” line. When it’s the tourist off season, paddle boats are good for illegal fishing too. Tom had some help with packing up the tent in the morning. The next morning, the same kids were back at our tent bright and early with offers to show us the nearby caves, called grutas in Spanish. 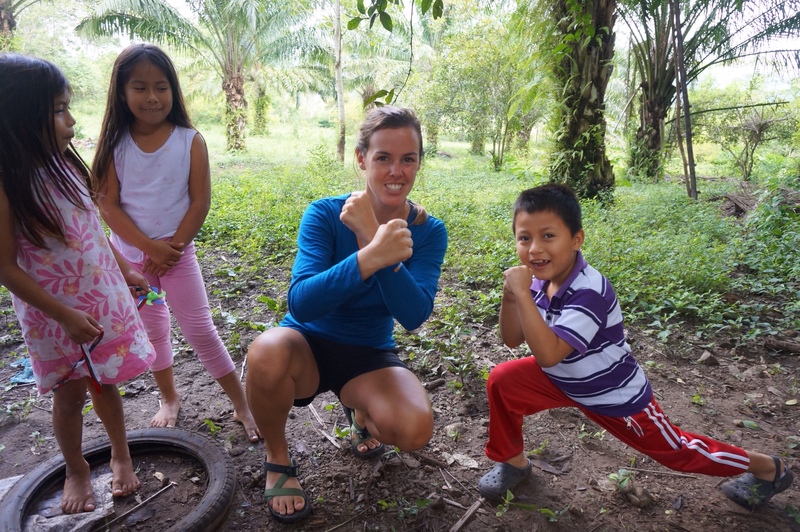 Wanting to see as much of the beauty around us as possible, we happily agreed to a tour, and soon we found ourselves walking side by side with our dwarfy guides down tangled dirt paths and into the wet woods. 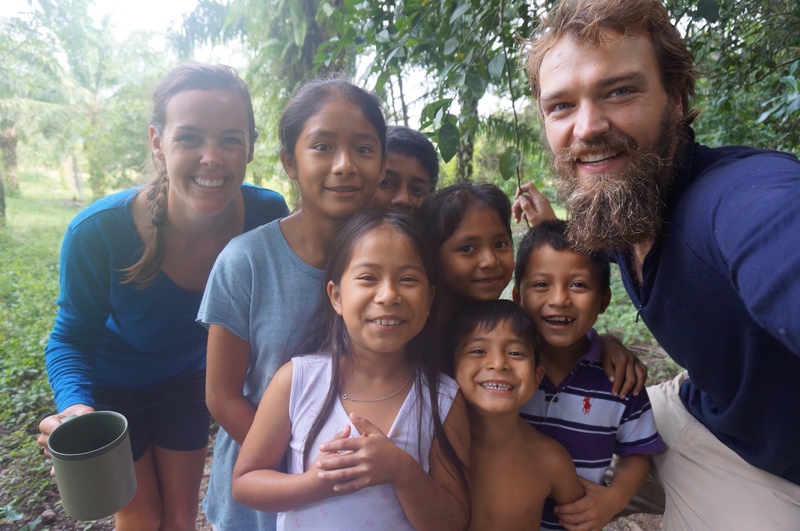 Thanks to our new buddies we got to see a part of Mexico that we would never have otherwise experienced – underground rivers, caverns, and mighty stalactites galore. 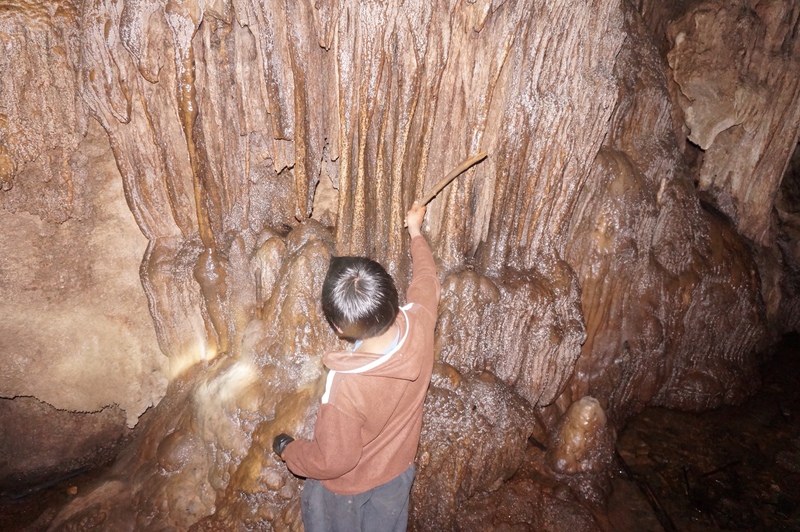 Our fearless guide, playing the xylophone stalactites. The locally ubiquitous rubber sandals are no match for the seasonal mud. 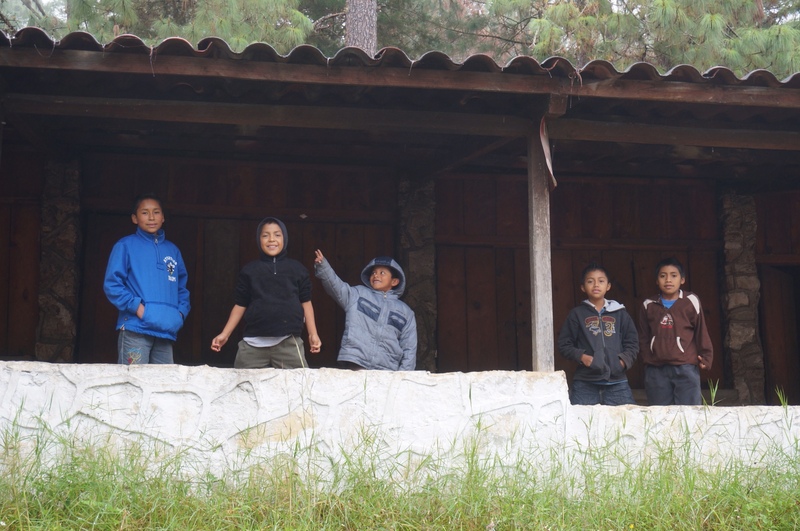 When the kids of Chiapas aren’t working as tour guides, they go back to being kids. By the time we got back to our bikes to push on, the weather had turned into complete rubbish. Instead of the sunshine we were used to, thick fog and continuous drizzle had us longing to be somewhere inside clutching a warm mug of cocoa. Unsurprisingly, seeing the rest of the park in those conditions was a total disappointment. 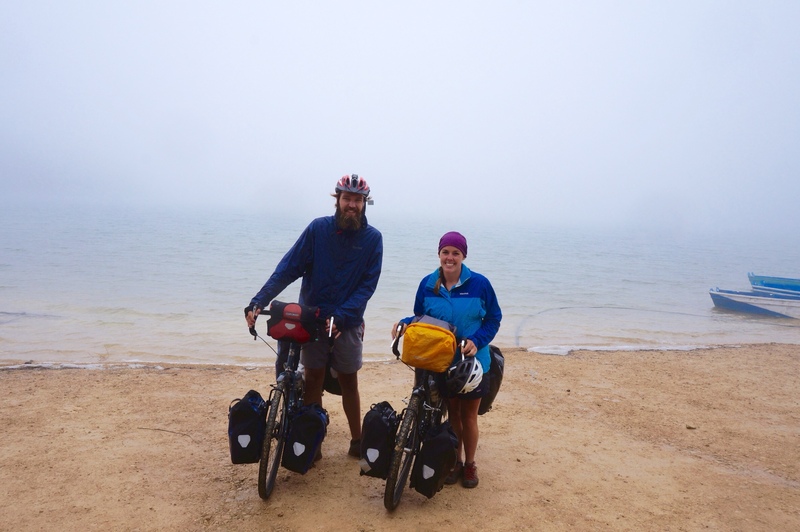 We tried lake after lake, and were met with a wall of stubborn mist every time. 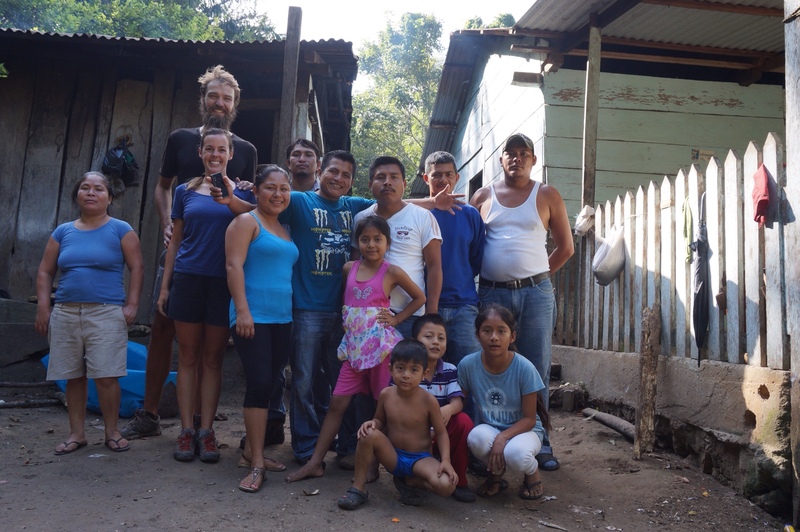 Frustrated and damp, we turned in early at some roadside cabañas. The owner told us that his high season price was 500 pesos, but since it was low season he would rent to us for 150. We told him that we were very happy it was low season, and tucked right in for a cozy night and a much-needed shower. Apparently there’s a brilliant blue lake behind all that fog. The palapas were otherwise occupied. But lo and behold, the following day was back to bright and beautiful. 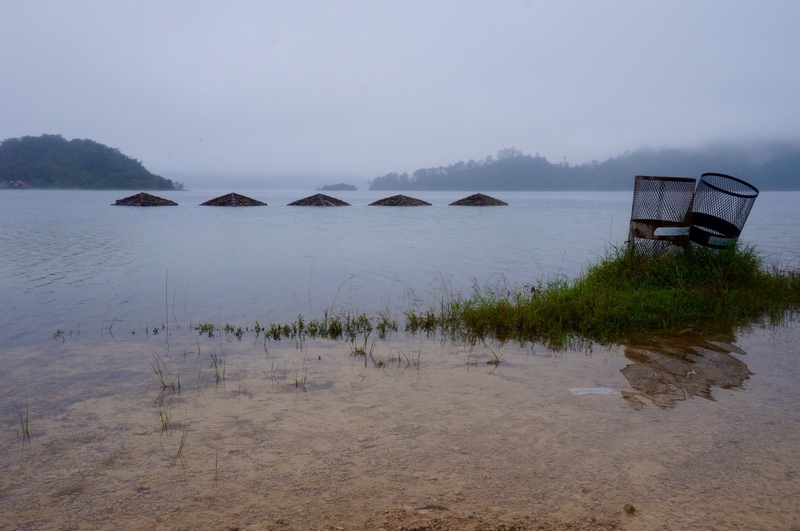 Lucky for us, we still had one more lake to go: Lago Internacional. 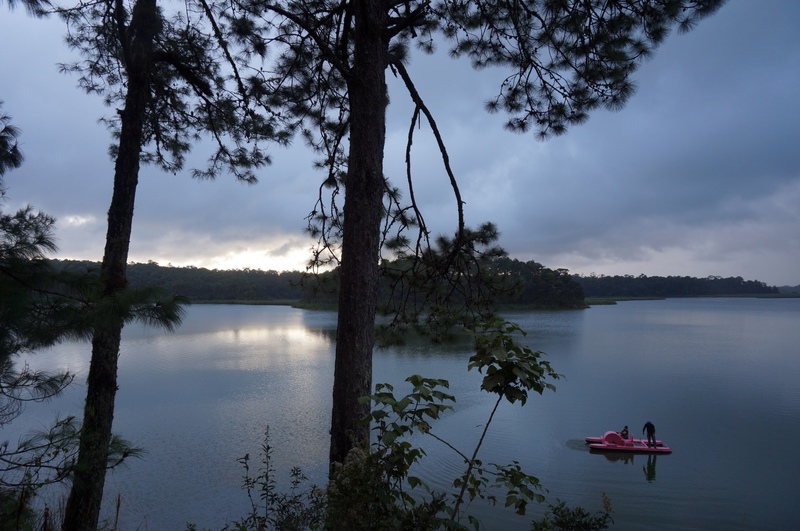 The lake straddles the Mexico-Guatemala border, which gave us good reason to break a little law or two. 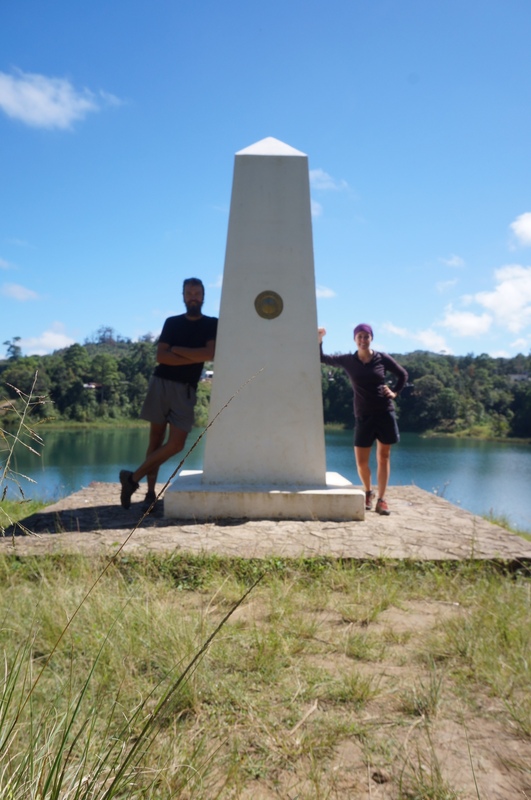 We snuck down a dusty footpath, right past the big obelisk-like border markers, and straight into Guatemala! Now we can finally say that we’ve made it to our third country in this trip. And yes, we only stayed there for five minutes before returning to Mexican soil, but a new country is a new country. 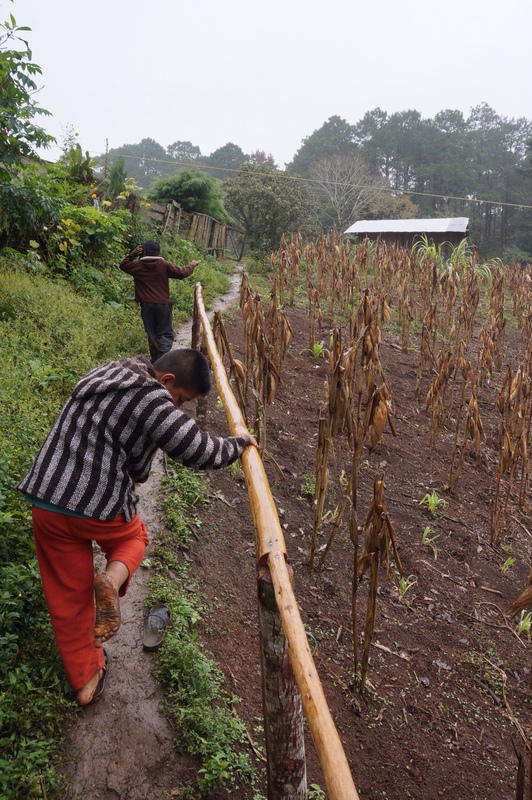 The highly regulated path to the Guatemalan border. We thought we were taking a clever photo, the camera was more interested in the grass in the foreground. Bienvenidos a Guatemala! And adios again. Las Nubes was only a day’s ride away, and after missing much of Lagos de Montebello due to fog we were hoping for the best. Getting to the turnoff was a total breeze, with gentle tailwind, gentler hills, and a few strange animal encounters that kept things interesting and weird. 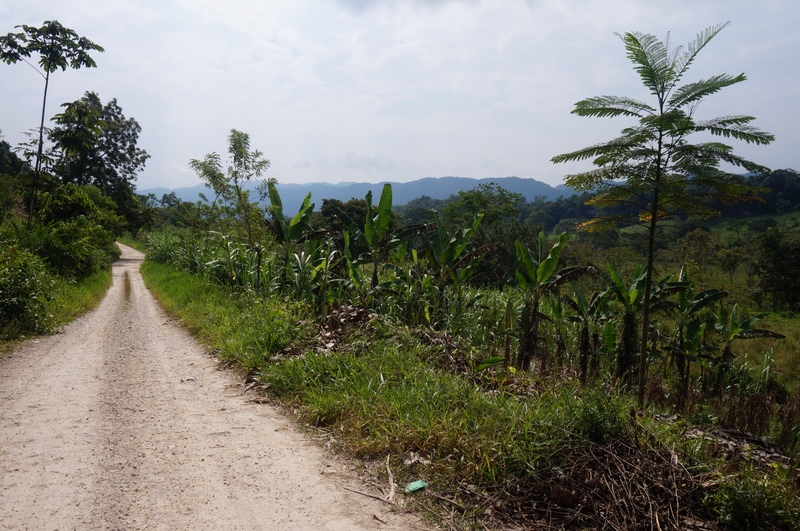 But it turns out the last twelve kilometers to Las Nubes defined the whole ride, and those twelve little kilometers were not so pleasant. The most irate turkey-in-the-road you ever did see. Taking a break to take in the view. We’ve had to deal with dirt roads a couple of times up until that point, but nothing could prepare us for the misery that awaited us. Apparently some people actively seek out dirt roads, and we can agree to accept on principle that not all of these people are completely insane, but tackling a dirt road on a heavily loaded touring bike constitutes a special form of torture. This particular gem featured lots of big rocks and inclines so steep that biking up meant losing grip with your rear wheel. Twelve kilometers of that and a lot of pushing later, we were totally wiped. We couldn’t quite believe that anyone actually made the trip to Las Nubes – the going by car was not much easier than by bike. Grumpy, teary-eyed and exhausted, we finally reached our destination a long two hours later. A breather on a rare patch of pavement. And suddenly, it all makes sense. But all that pain was worth it in the end. 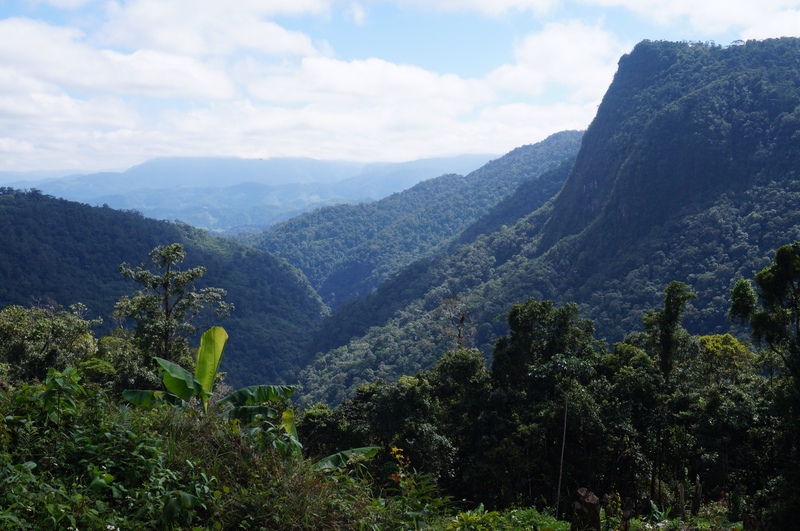 Massive rock formations and an impressive array of waterfalls made our hard ride into Las Nubes a distant memory. Despite the fact that the local restaurant served only quesadillas for breakfast, lunch, and dinner, the scenery (coupled with our fear of the dirt road out) made it easy for us to stick around for an additional night. The river was cold, but the views were epic. To our elation, a little exploration led to our discovery of an alternate and much nicer route out of Las Nubes, over a rickety bridge that was unpassable by cars. While the following days weren’t too exciting in terms of biking, we were yet again exposed to the immense natural beauty of the area. Riding along the Fronteriza, we barely needed the border markers to show us where Mexico stopped and Guatemala started. A mountain range stretched to our right (i.e. to the south) which indicated the looming and disturbingly steep presence of Guatemala. Simply seeing it was a reminder that before we knew it we would be sweating and crying up those very mountains. Our precarious ticket out of Las Nubes. We kept the long days in the saddle interesting with some unique choices for our nightly camp spots. At the end of the day out of Las Nubes we were surprised by the heaviest rain we had encountered up to that point, but luckily we found an abandoned ranch on the side of the road in the nick of time. The fence around the house was chained up so we weren’t able to get our bikes in; the stable, however, was wide open and compared to the downpour seemed inviting. Almost completely soaked, we made a beeline for it, only to discover that half the roof was collapsed and half the stable was flooded. No problem for us though – there was plenty of space left in the dry half for our tent. Even the collapsed roof had a silver lining: a quick means to a bucket shower and clean dishes. We stuck our ten liter bucket right under a leaky hole and presto, it was full five minutes later. 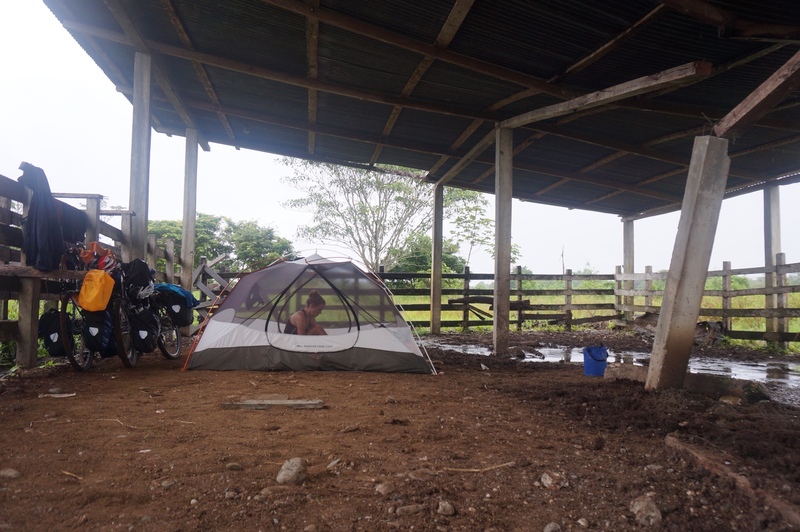 While the rain pounded away overhead, we were showered, clean, and safely tucked away amidst months-old cow dung. A dream campsite if we could ever ask for one. Miraculously, the roof didn’t collapse on us overnight. The following morning, the skies had dried and we dragged ourselves away from our beloved stable. Rather than follow the Fronteriza into the farthest corner of Mexico, we took a shortcut that saved us plenty of needless kilometers and also happened to give us a glimpse of the local animal life. It all started with a turtle trying to cross the street – we happily gave him a lift to the other side. 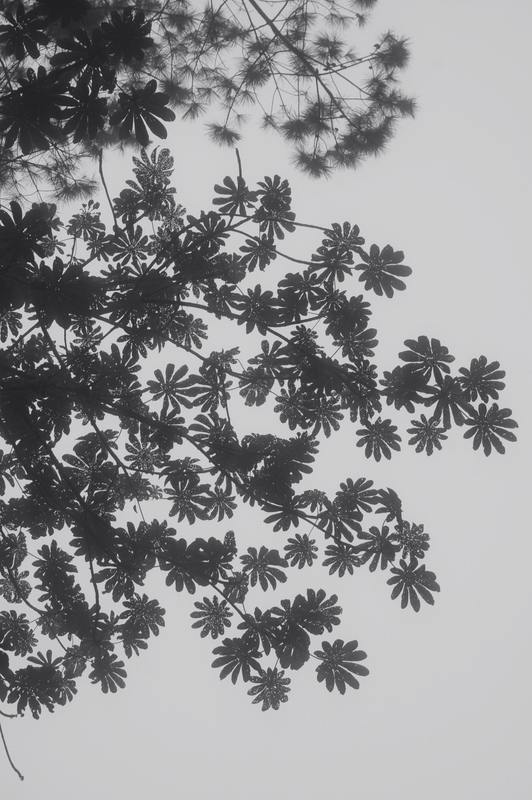 Later on, we heard a strange bellows from the treetops, and what do you know, howler monkies! Those guys are loud, but pretty shy when you get up close to them. Best if all were the parrots. 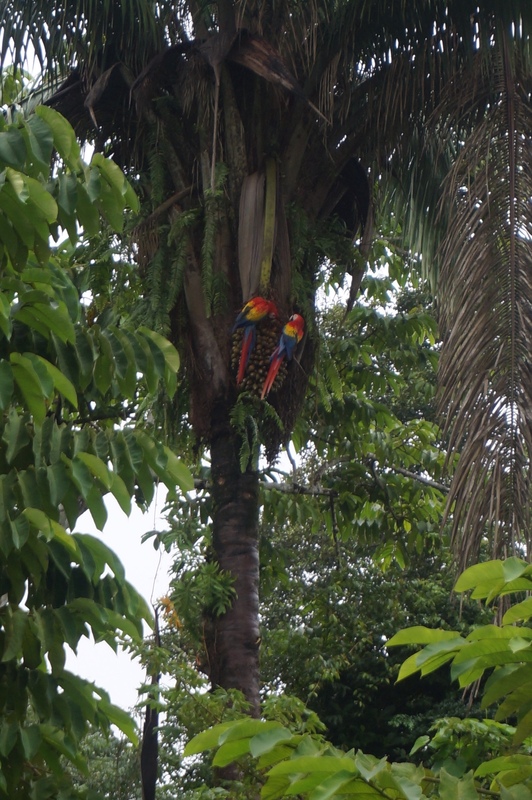 They came in two varieties: little green ones the size of swallows and majestic, long-tailed scarlet macaws. Add a few toucans and plenty of cows to the mix, and we had our best wildlife day of the trip! Unfortunately, along with all that wildlife came an inordinante amount of mud. The end of our otherwise awesome detour turned into a long, mucky stretch that persisted for a few hours. That not only slowed down our progress but also covered our bikes, panniers, shoes and legs a thick layer of ooze. 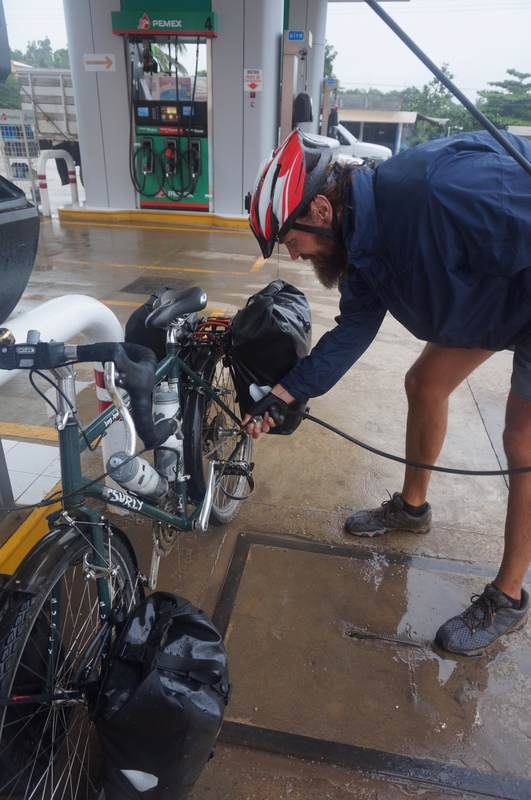 Good thing we ran into a gas station shortly thereafter – the first in four days – where we gladly used the free pressurized water hose to give our bikes and ourselves a much needed bath. We’re not sure he appreciated the lift as much as he should have. Ah, Pemex, always a sight for sore eyes and dirty bikes. By far the best night of our Fronteriza side loop was our last. 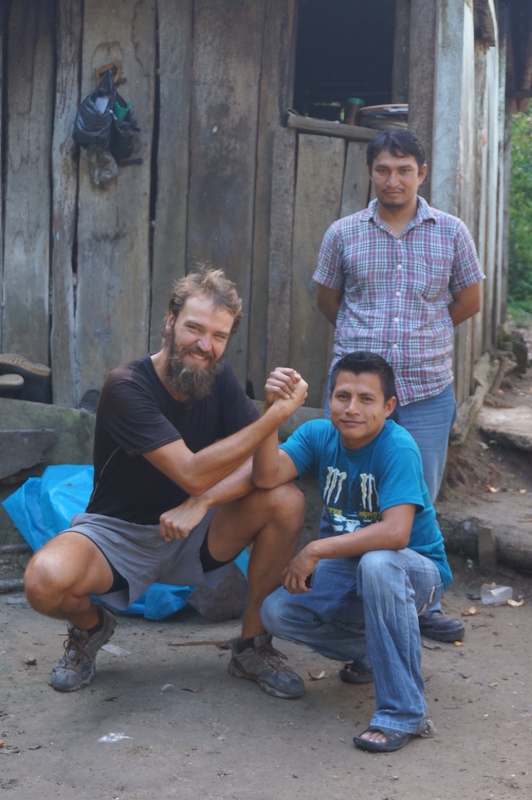 We had been inching along the road for an hour or so looking for a good campsite, when a man and his son appeared on a motorcycle and offered us a place to sleep at their rancho. We gladly accepted, and as usual, we were in for a few surprises. 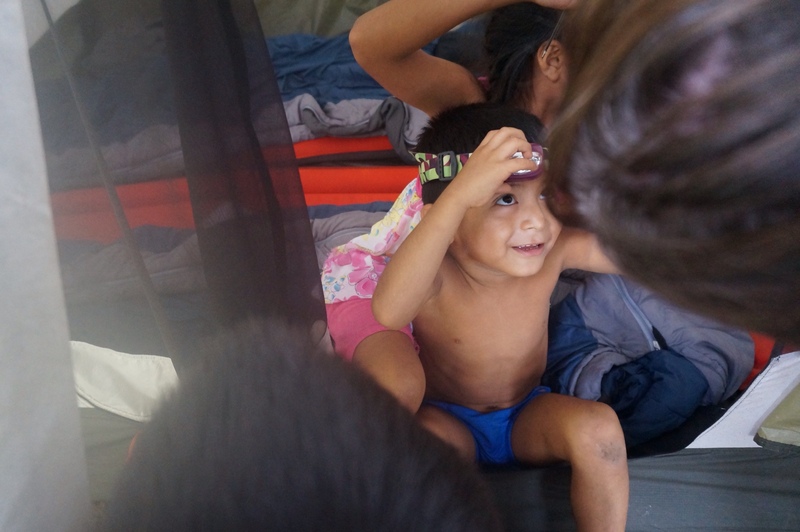 In the morning their many children bombarded us with questions and had fun exploring our tent and gear while turkeys, pigs and chickens roamed around us. Three generations of the family lived on the rancho, and before we knew it we were surrounded by a crowd of fifteen or so people, answering questions about the ins and outs of bike travel, and posing for photos. And then…well, we got ranch married. Out of the blue, one of the women ran inside, emerged bearing a Coca Cola bottle filled with fake roses and declared, “time for a ranch wedding!” She made Alex hold the flowers and we were implored to kiss for the cell phone cameras. They thought it was hilarious. As for us, we’ve been lying about our marital status for months now in Mexico, so at least it feels a bit more legitimate now! The welcome committee at Rancho La Hacienda. It wasn’t long before they were in the tent and sampling our strange devices. This little guy wanted to make sure that we got plenty of pictures of his ninja moves. The girls are clearly not impressed. Between the photos and the marriage, there was a bit of arm wrestling. 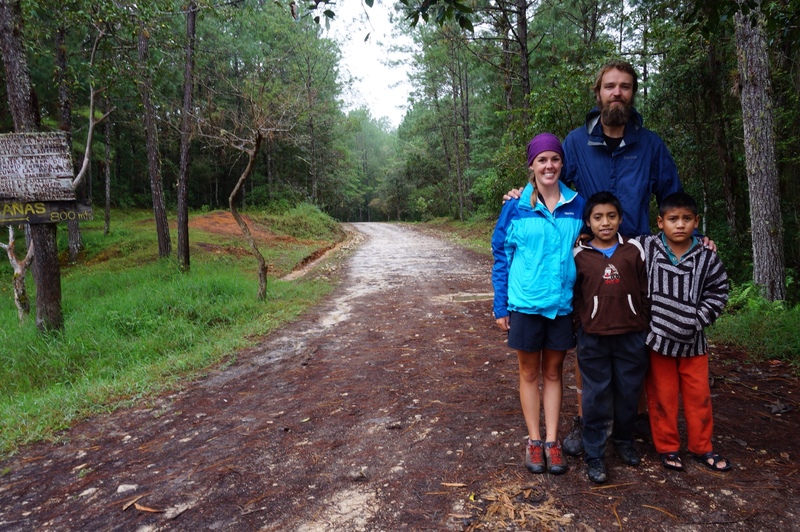 A fond farewell to one of our favorite families in Mexico. Love the cows and more nice people. Don’t love the look of that bridge. Congratulations on the wedding!